Getting smart financially takes years of study and dedication. When you have finally set yourself on the path to financial well-being, it is a sense of accomplishment seemingly unparalleled. Unfortunately, all of those grueling work days can take a toll. You may find yourself without hair on your head, an extra ring around the waist, high blood pressure, and a host of other issues. If you want to live long enough to enjoy the fruits of all of your hard work, you need to get serious about investing in yourself. In fact, you need to work harder than you ever did at learning how to invest wisely financially. The good news is that when you finally get your back into shape, your sense of accomplishment will be greater than any financial gains ever made you feel. Getting your body back into shape after years of neglect is no easy feat. You can of course try to do it on your own. As when you studied how to be successful financially, however, it would be wise to search out a mentor or hire a professional to coach you. Learning from the best is how we learn best. There is nothing wrong with reaching out for help. You should probably begin with injecting light exercise into your daily routine. Again, seek the advice of a professional. You do not need, or even want, to begin running full speed during your first week back in action. In fact, walking carries 95% of the health-giving benefits of running. Any time you are going for a walk, remind yourself that you are carrying yourself toward a healthier future. There is no need to feel ashamed of going for a walk instead of a run, as it is almost entirely as healthy. Walking prevents serious diseases and cures many other ailments. 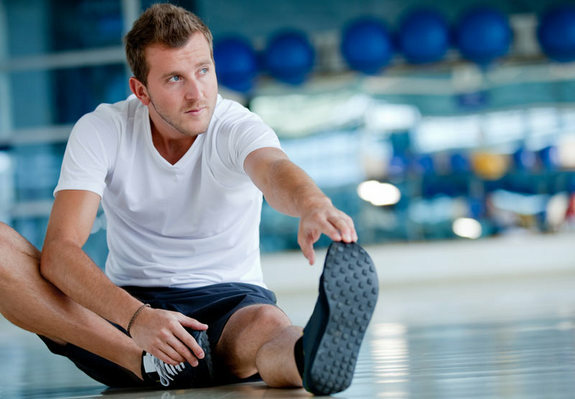 From light exercise, you can begin to explore different types of activities that interest you. Branch out into an activity that excites you. If you find a sport or activity, such as swimming, that interests you and makes your body healthier, that is what you need to focus on. Now, if you are still having trouble losing losing weight, you may want to look into B12 injections. These injections are not going to make you lose weight. What they are going to do is stimulate your metabolism. Sometimes, after years of inactivity, people’s metabolism just drops off and is near impossible to get going in. With a little help from B12 vitamins, you will get your body’s metabolism sparked and assisting you in your effort to shed weight. In no time, you will see your health turning around and huge returns on your time investment.